Chiropractic is a drug-free and non-surgical approach to healing and wellness. Your brain uses the nervous system and spinal column to communicate with the rest of your body. Since it acts as a hub, messages will go back and forth from the brain if there are no issues or interference. But what if there’s a problem? If interference happens somewhere along your spine, illness or injury can occur. For example, if you start experiencing pain in your arm, the root cause of the problem can actually be in your neck, around where the nerves connecting to that hand originate. Chiropractors can examine your spine for issues and resolve them through controlled techniques. In fact, chiropractors are professional medical practitioners who have the ability to deliver effective care at a fraction of the cost of unnecessary drugs or invasive surgery. At Whole Health Chiropractic, we are ready to help eliminate your pain and help you feel and move better. Dr. Alexxandria Roush was born and raised in the very small town of Gallipolis, Ohio. After high school she moved to Huntington, WV to attend Marshall University. 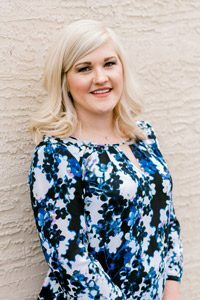 While working towards her undergraduate degree she met her now husband, and after graduating with their undergraduate degrees the two moved to Saint Petersburg, Florida. Dr. Roush attended National University of Health Sciences where she received her Doctorate of Chiropractic Medicine. During Dr. Roush’s clinicals at National University of Health Sciences, she was awarded the opportunity for an internship with Bay Pines VA (veterans affairs) healthcare system. This position allowed her to work with a team of healthcare professionals while gaining key clinical experience. Along with the VA, she volunteered at many sporting events throughout the Greater Tampa Bay Area. Upon graduation, she accepted a position at a progressive chiropractic clinic where she treated a large variety of patients. Dr. Roush also went on to become Webster Certified with the ICPA. Although the weather in Florida was amazing, Dr. Roush and her husband missed home so they decided to move back to Ohio. Today Dr. Roush and her husband reside in Grove City with their son and two dogs. Dr. Roush hopes to help her patients achieve their health and performance goals by helping them gain better knowledge about chiropractic care and healthy lifestyle choices. Rachel has worked in the health and wellness field for over ten years. Rachel’s favorite part of her job is witnessing patients regain their health and become pain free. She takes pride in her vast knowledge of all things insurance and is here to help you along the way. 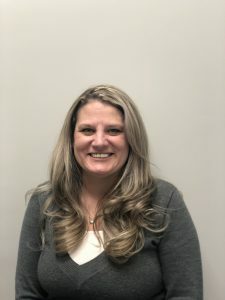 In her free time, she enjoys spending time with her husband and daughter, cheering on the Buckeyes, rehabbing furniture, crafting, camping, and hiking. Rachel grew up in the small town of Bergholz, Ohio. She and her husband moved to Hilliard in 1998. They are now proud residents of Grove City with their daughter Cora and crazy lab Maximus.